The Arizona Restaurant Association’s 2016 Foodist Awards return this April for an evening of celebration, that recognizes another incredible year in Arizona’s culinary and hospitality industry. The Awards will be held on Thursday, April 21 at 6:00 p.m. at the Showcase room located at 149 South Farmer in Tempe, and are attended by food and beverage industry professionals. 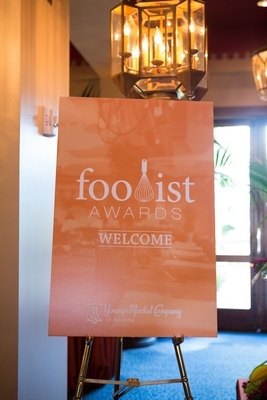 Presented by Young’s Market Company, the Foodist Awards recognizes and highlights the most amazing tastes, faces and places in Arizona food and beverage. From sizzling southwestern to award-winning chef-owned dining rooms, the industry’s commitment to culinary excellence has made Arizona a delicious destination for travelers and foodies alike. Uniquely Arizona – Home to some of the oldest documented food traditions, Arizona has a rich culinary past steeped in tradition. We are searching statewide for the restaurants that embrace not only the local food but are staples of the state. Food Pioneer – Honors a lifetime of outstanding culinary excellence that continues to educate, inspire, entertain and foster a deeper understanding of the culinary culture in Arizona. Top Chef – Pays tribute to outstanding culinary excellence, breaking new ground with an innovative menu while enhancing the dining experience. Innovative Restaurant Concept – Recognizes a restaurateur or restaurant group who demonstrates that they don’t follow trends; they define them, setting the bar in restaurant operations and the overall customer dining experience. Outstanding Multiple Location Restaurant – Honors a culinary concept with multiple locations, demonstrating exceptional achievement and commitment to excellence in marketing, menu design and customer service. Emerging Restaurant of the Year – Honors promising up-and-comers that demonstrate exemplary talent, showcase innovation and have already distinguished themselves as pacesetters in food, beverage and service. Restaurant Employee – Recognizes the front or back of house employee that has set the gold standard for exemplary customer service and enhancing the overall dining experience. Premier Cocktail Program – Recognizes an outstanding restaurant or bar that demonstrates excellence and innovation in their cocktail program. Premier Beer Program – Recognizes an outstanding restaurant or bar that demonstrates excellence and innovation in their beer program. Premier Wine Program – Recognizes an outstanding restaurant or bar that demonstrates excellence and innovation in their wine program. Good Neighbor – Recognizes the outstanding community leadership and exceptional devotion to making a difference in our neighborhoods and community at large. Outstanding Food Truck – Recognizes outstanding achievement in mobile nourishment, operations and community development. Best Dish “Dessert” – Honors the restaurant that quite simply does it best. For more information, visit www.foodistawards.com.